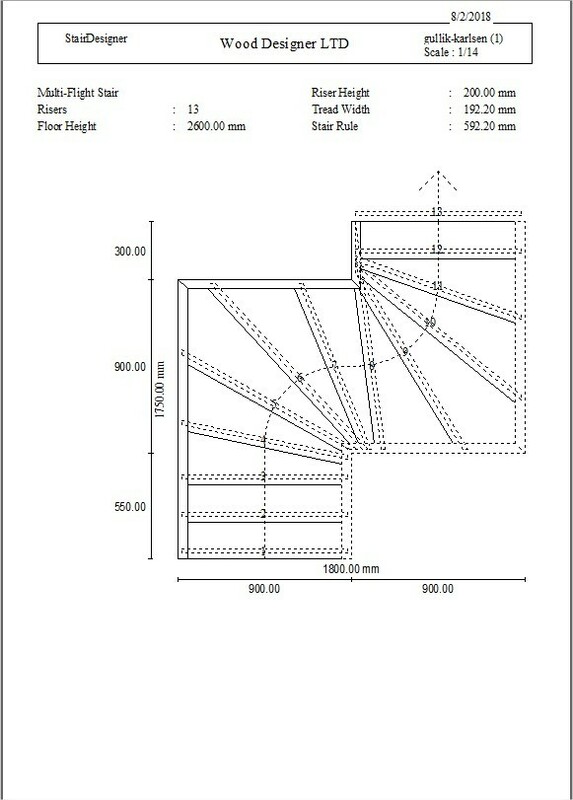 Also please try our new software stairdesigner 7. Hi and thank you. Yes, we are using the demo version. Asked about the code when we upgraded to premium, but was told we didn’t need it since we could post it here on the forum to get it finished with measurements. How do we get the measurements on the staircase? I don’t se the file like its showed in the example, but it seems like its attached.